Wonderment returns for its third season, featuring ambient music performances using a multi-channel sound system and taking place in public parks within the unceded lands of the Lekwungen Coast Salish people. Our first event for 2018 will take place in Beacon Hill Park at the corner of Cook Street and Dallas Road (in the clearing near the public washrooms, across Cook Street from the Dashwood Manor). Detailed info about the event below. Noah Pred is no stranger to the West Coast, having lived on both Salt Spring Island and starting out on his electronic music journey in Vancouver. Moving eastward, Noah held significant residencies in Toronto and Montreal and has released on internationally reknown labels such as Cynosure and Trapez in addition to his own Thoughtless Music imprint. Between his recent solo EPs for Traumraum, Compute, and Biotop, his vivid sets of techno, house, and electro, the advanced sound design of his haunting atmospherics, and the ever-evolving scope of his technical capabilities, Noah’s commitment to electronic innovation remains as strong as ever - and in the face of global uncertainty, his utopian sonic narratives have never felt so vital. "Homeward was born from a promise to my mother, made in the weeks before she left this realm. In the end, it didn’t seem right to simply collect existing projects, or even to work within my usual constraints: I wanted to devote myself to creating something as unique as she was. Eliminating the rhythms of the dance floor I had come to rely on and take for granted over the years – so stable, so dependable – mirrored the untethered process of grieving through which the album was made. Forced to venture outside my comfort zone, bereft of familiar structures, transformative possibilities emerged, pointing toward a new version of home." The Garden City Electronic Music Society is honoured to debut Noah Pred's ambient set for our first Wonderment edition of 2018. 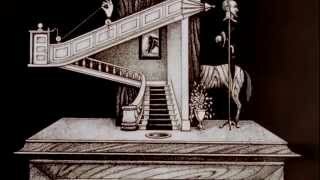 Ivory Towers is the solo music project of Vancouver, BC artist Quinne Rodgers. Combining synths, organic samples and a spectral chorus of vocals, she creates crystalline, intimate pop dreamscapes. This ghost soup of self-produced electronic hymns entwines the personal, historical and fantastical, with political themes of power and survival. Sabrina Dzugalo grew up in Victoria BC, where she was one of the first women DJs in the mid-1990s, holding down an ambient music residency at Java Coffee House on Johnson Street and a radio show on CFUV 101.9 FM. Sabrina departed Victoria in the late 1990s to attend music production school at the Harris Institute whose alumni include many of Toronto's notable producers from around the turn of the millenium. Back in BC, Sabrina has been DJing, producing and performing live, and has released on Woodwork Recordings. Her Wonderment performance at the Sidney Waterfront performance in 2017 debuted her recent ambient works, and can be heard on her soundcloud. Sabrina will also be performing in Sidney BC on July 2nd as part of the Garden City Electronic Music Society's Electro-Acoustic series. Wonderment 2018 runs from 2pm to 6pm and is a free all-ages event. Please remember the no-smoking bylaw for CRD parks and pack-it-in/pack-it-out if you're bringing a picnic. 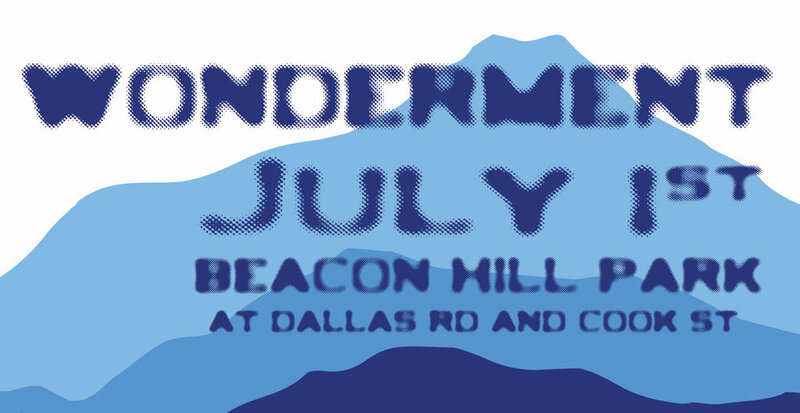 Our second installation in the Wonderment Series will take place at Banfield Park in Vic West (521 Craigflower Road) on the Sunday of the August long weekend and will feature artists using modular synthesizers. Wonderment would not be possible without funding support from the City of Victoria, BC Arts Council and the Capital Regional District.